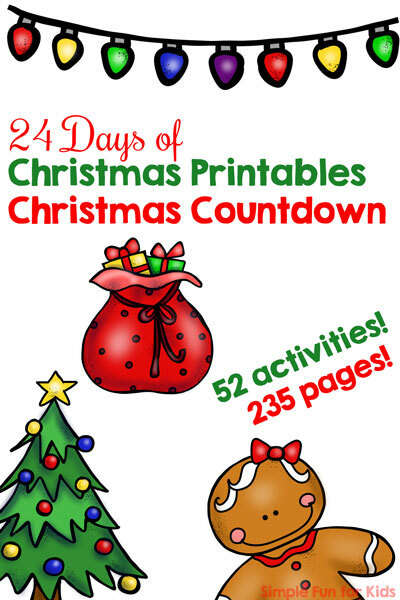 Today is day 10 of the 24 Days of Christmas Printables for Toddlers series! If you’re following along, you’ve seen my Snowman Numbers 2-Piece Puzzles on day 4. Today’s Snowman Numbers Matching Game for Toddlers goes perfectly with those puzzles, but of course you can use it on its own, too. Laminator and two laminating pouches. 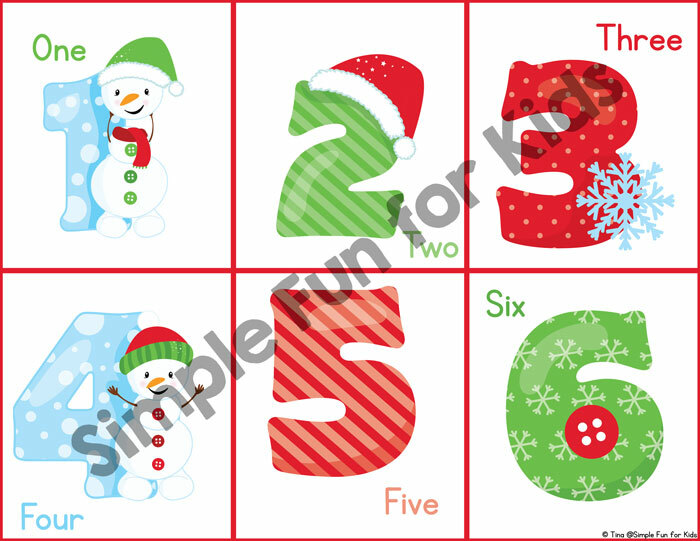 There’s one printable page with snowman and winter-themed numbers 1-6. The details are really fun, including santa hats, snowflakes, different shades of red, green, and blue, so there’s a lot to talk and learn about besides the actual image matching. Print the page twice, laminate if you want the pieces to last longer, then cut one or both copies apart at the red lines. Afterward, you’re ready to play a matching game. The easiest way for beginners is to leave one copy of the page intact, cut the other apart, and match the image cards to the images on the sorting mat. From there, you can work your way up until you can play a full memory game with all cards face down on the table. 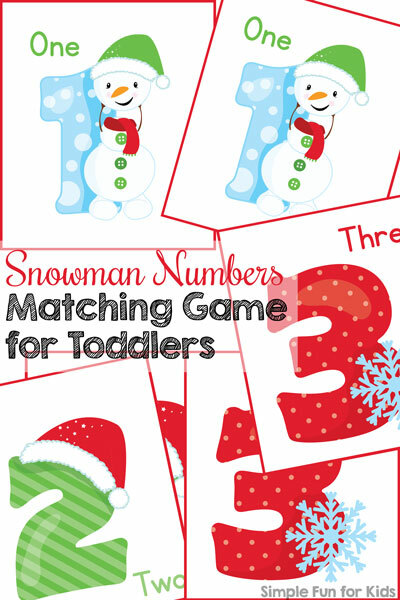 Download your Snowman Numbers Matching Game! Snowman Numbers 2-Piece Puzzles use the same set.